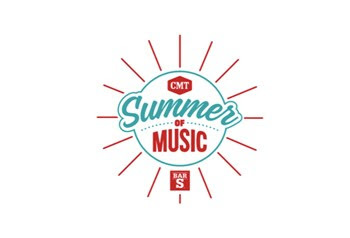 CMT's Summer of Music Block Party will return to kick-off the 2018 CMA Music Festival on Tuesday, June 5th and Wednesday, June 6th! On Tuesday, the party will feature performances by Bailey Bryan, Kelleigh Bannen, and The Sisterhood Band! Morgan Evans, Delta Rae, Tyler Rich, and Carly Pearce are set to appear on Wednesday.